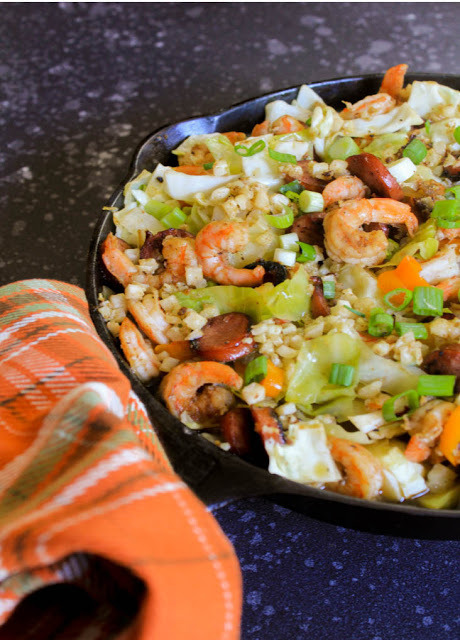 Successfully saved Cajun Cabbage Shrimp Jambalaya to your Calendar. You can also save the ingredients to your Grocery List. Cajun spices, savory broth, and shrimp with spicy turkey sausage along with cauliflower rice. A delicious low carb skillet meal that is healthy and nutritious. Just the right dish to start the new year!